Let's face it, bar food can get really old, really fast. Why not save room (and cash) for some of Chicago's finest drinks by hitting up a BYOF (bring your own food) joint? Here are a few of our favorites. The Jazz Showcase: See jazz greats perform at this Chicago institution in South Loop. Located in the old Dearborn Station around the corner from Harold Washington Library, Jazz Showcase has played host to the likes of Roy Hargrove, Dizzy Gillespie and Art Blakey and the Jazz Messengers. 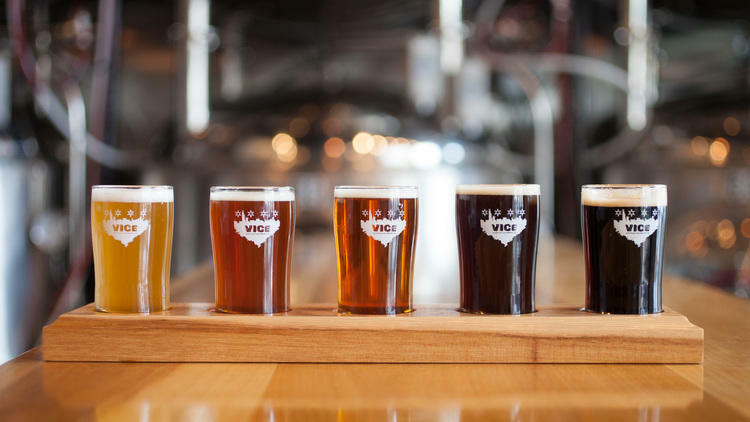 Vice District Brewing Co.: Enjoy some local flavor at the Vice District taproom, where you can pair handcrafted Chicago brews with food from the heart of the city. Located within walking distance of Soldier Field, Museum Campus and countless other downtown attractions, the taproom welcomes dogs, babies and even folks just looking to get a little work done on the free WiFi. We've actually brought Kurah (1315 S. Michigan) to Vice (1454 S. Michigan) and it was a lovely time. We would recommend it to anyone.